The administration of Rafael Correa had granted him asylum. Assange lived in one of the embassy´s offices, which cost six million dollars to the taxpayers. Although the current president, Lenin Moreno, agreed to grant him Ecuadorian citizenship, it was “suspended” due to multiple inconsistencies on how it was granted. The Ecuadorian Government set out nine reasons for this decision, such as the constant conflicts between Assange and Ecuadorian diplomats, or the refusal from the United Kingdom to let Assange travel to Ecuador or any other country. 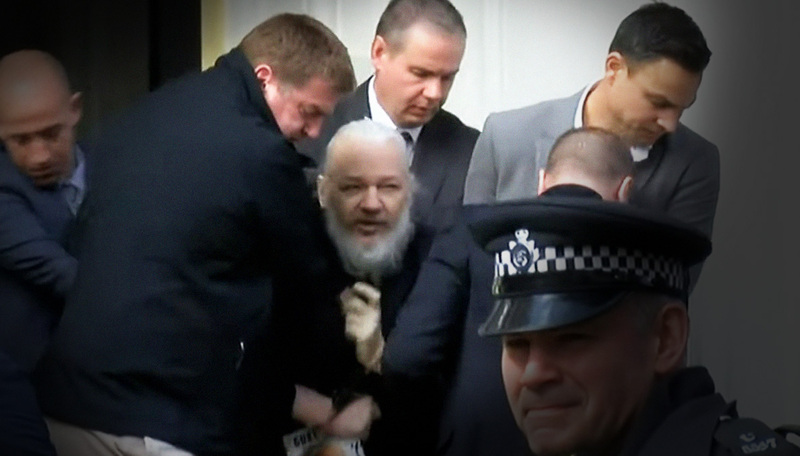 The Ecuadorian Government also noted that Assange continued directing Wikileaks, making contacts and political statements, and also that his declining health was a concern. Ecuador sought assurance from the UK that Assange would not be extradited to a country where he could face torture or the death penalty. Nonetheless, a few hours after Ecuador removed the asylum, the United States made an extradition request. The government also pointed out that a Wikileaks agent and two other Russian agents were working with the political opposition on cyber espionage tasks as an attempt to overthrow the current regime.